On this page we will keep you updated with news on InGOS. Here you will also find our latest newsletters. In June 11 teams participated in the InGOS N2O flux measurement intercomparison campaign (NA5/JRA6). The used their measurement systems during a one month campaign. 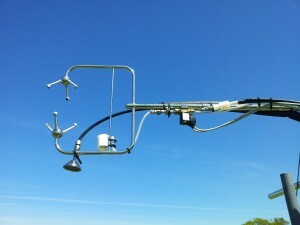 Ten different systems measured the N2O fluxes from the grassfield at the Easter Bush site using a variety of methods: eddy covariance, chamber, relaxed eddy accumulation and vertical gradient measurements, and a variety of commercially or self-buiilt available optical systems (read more). Data processing is ongoing and first results were shown at the GHG-europe conference in Antwerp. At the next project meeting we will propose to add one or more stations of the CLIMADAT network in Spain run by the IC3 institute in Barcelona. 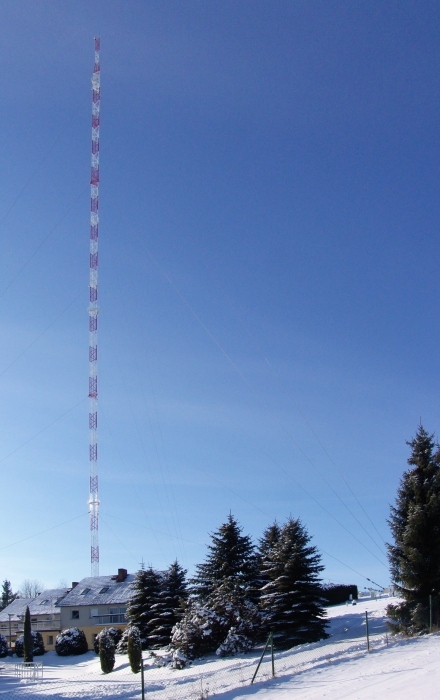 Another interesting new station is the recently built Křešín u Pacova tall tower station in the Czech Republic. The station is run by CzechGlobe in Brno and will also be part of ICOS. The tower is right next to the Košetice observatory, a long-term monitoring facility being part of e.g. ACTRIS and is run by the Czech Hydrometeorological Institute. More information can be found in this flyer on the tall tower Kresin u Pacova. 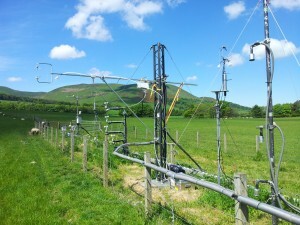 We are now planning a campaign for N2O in June 2013, to follow up on the succesful InGOS methane flux intercomparison experiment that was carried out at Cabauw in June and July 2012. Read more here: N2O Campaign. InGOS N2O flux measurement campaign at DTU Risø, Denmark, April 15‐30, 2013. The campaign is directed towards the InGOS project task 13.2, combining FTIR‐analyzer with micromet techniques for multi‐species. The goal of the campaign is to compare different instruments (e.g. FTIR; Off‐axis LGR; Campbell; GC) applied for concentration and/or flux measurements by micro‐meteorological or chamber based approaches. The campaign will take place at the Risø DTU TNA‐site willow‐plantation, in Zealand, DK. The plantation will be cut in the winter 2012/2013, and ca. one week prior to commence of the campaign measurements, the site will be fertilized with digested slurry to achieve a significant N2O emission rate. The InGOS project factsheet can be downloaded from the webpages of the EU Commission R&D Directorate.